Gensuite, cloud-based compliance and management systems software solutions provider, is pleased to announce the opening of their 11th office globally, and 3rd in the United States – in Houston, Texas. The office is located in the suburbs of Houston, in the Woodlands/Conroe area, a 40-minute drive from downtown. This new office opening is part of Gensuite’s initiative to accelerate growth across global locations, making it easier for Gensuite to connect with users in the Houston area and providing opportunities for local businesses to connect with Gensuite for the first time. The new Houston location joins Gensuite’s Austin office to support Texas-based subscribers. “This new office space will expand our global footprint to contribute to Gensuite’s growth strategy. We look forward to working with current and prospective customers in the Houston community,” says Lori Stephan, Gensuite’s Lead Business Process Specialist who has spearheaded the Houston office initiative. 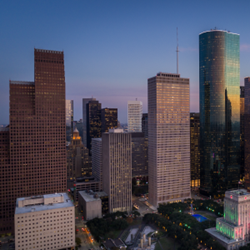 Houston presents a wealth of opportunity for Gensuite, with diverse talent and a strong presence in the energy, healthcare, biomedical research and aerospace sectors. As this office begins to take shape, Houston native and Gensuite Senior Business Analyst, Amber Schroeder, looks forward to the possibilities. Gensuite plans to continue its global expansion, and will next open a new office in Melbourne, Australia later this year.